In my earlier post jumping into Affiliate Marketing: The Guide for Beginners, I shared some information on how to get into the affiliate marketing game. It’s a huge business market that has the potential to become a massive income stream for many people. BUT (there is always a “but”) it isn’t exactly the easiest market to break into. Big bucks mean big competition and with any business, mistakes can tank you before your site can have the chance to get off the ground. Today I’ll discuss some of the potential pitfalls in the affiliate marketing business. When I say choosing the wrong niche it doesn’t mean choosing a bad niche to go in to but rather choosing one which doesn’t resonate with you. Successful affiliate marketing often involves a good amount of passion – for example, for certain types of products of technology. One example of this is the sale of health products such as supplements or organic foods. The market for health products is immense and it is one of the most profitable categories for affiliate marketing. Yet if you have zero experience with the products or little knowledge of the industry it can be more than challenging to just step in to. Hostinger offers one of the best affiliate programs in the hosting industry. Personally, I have always had a great passion for the web hosting business and that is partially how I laid the foundations of WHSR. To me, it was important that people were given accurate, comparative information on web hosts that would help them make the right choice in web hosting for their own sites. I strongly advise you to choose an affiliate marketing niche which even if you do not know a lot about, you have at least a strong interest in. As an affiliate marketer, one of the major strong points of your business is your content. Building a strong content foundation is vital to the long-term viability of your site. It serves to draw – and retain visitors. Remember though that it is not only about bringing in visitors to your site but also convincing them to part with their money. I strongly recommend that before writing about something you carry out due diligence and use it for yourself. When reading an article, your visitors can easily tell if you’re speaking from experience or doing a blind-sell. One giveaway if you’re doing a blind-sell would be the lack of actual performance data. Hostinger uptime result and server performance. Take for example my web host reviews – I usually carry out a battery of test and that data gives my visitors a way to gauge how good the performance of a site hosted there would be. Building trust with your readers is of vital importance and one of the key ways is by giving them good information. Search Engine Optimization (SEO) is how well you’re able to draw visitors into your site by organic means. Having great content is only part of the battle – you need to format it correctly to win top billet on search engines such as Google. If you have very comprehensive content but it’s not optimized for search there is almost no point to it. SEO isn’t something which can be slapped on as an afterthought but needs to be planned ahead for even before you craft your articles. Make sure to carry out your SEO research before planning your article list – this way, you have a guideline as to what articles and formats would be of maximum value. If the sole reason why you are getting into affiliate marketing is because of the money you might be in for a shock. As newbies diving in, many people are hearing stories of affiliate marketers pulling in huge monthly commissions. While that might be true in some cases, the reality is that to reach that stage involves an awful lot of commitment – in time, effort and sometimes actual cash. Think about the time you’ll need to research, craft and optimize even one article, then multiply that by a hundred. Meanwhile, you’ll need to continually revise all the other articles, while paying for and maintaining your web hosting account. It gets even worse if you’re doing this while trying to hold down a full-time job since your free hours are even more limited. Building up the momentum towards owning a successful affiliate marketing site takes time – don’t expect to earn too much in your first year or so. While I have harped on at length about content, I have sometimes noticed a tendency by some to ignore other segments of their websites. If you aren’t paying attention to the speed and performance of your site, then you will lose sales over the long term. 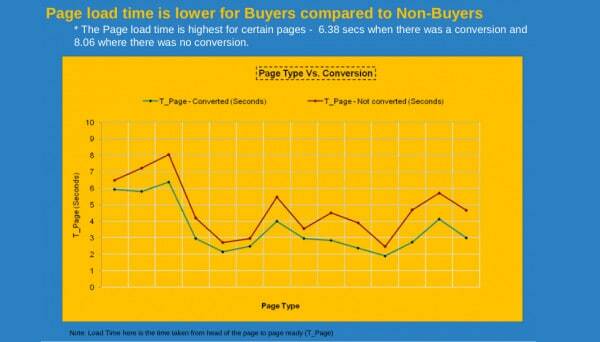 Test carried out by Walmart shows every 1s of improvement in page load resulted in a 2% increase in conversions. It is proven that slow websites tend to have lower traffic (and thus, revenue) than sites which are fast. True, paying for powerful web hosting might be one way to overcome this but there is a lot you can do to simply optimize your website for better performance. For example, simply by enabling gzip and image compression on your host you will speed up your site considerably. Even the theme that you choose for your site can considerably impact its performance! There are tons of other ways you can optimize your site – but I’ll leave that for you to discover. Aside from SEO, there are other ways in which you can increase your visitor count. The Internet is swarming with content and websites today, so it isn’t practical to always rely on people finding your content. 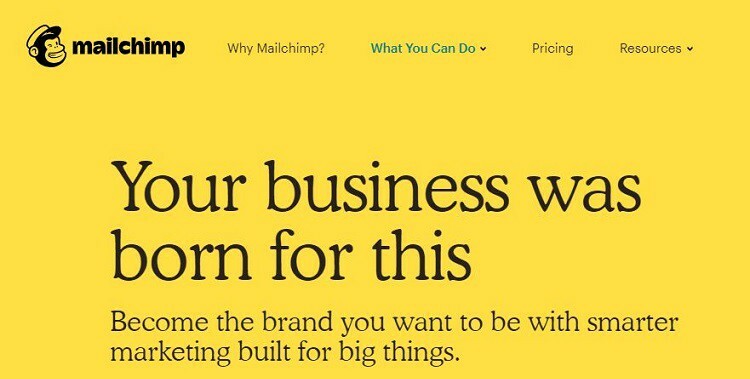 Mailchimp is a powerful email marketing tool that can help you extend your reach. By using your site to build an email list you can leverage on another powerful tool to be used by the many successful sites– email marketing. Through this, you will have the power to reach out directly to a pool of customer whom you know have already expressed some form of interest in the topics you share. There are a ton of email marketing tools which play nice with popular Content Management Systems such as WordPress and if used correctly will be a great part of your arsenal. When website traffic starts to build, it can be tempting to monetize as much of your site as possible. This might mean stepping into other forms of advertising such as Google Ads or even leveraging on YouTube but remember – more stuff will impact your site performance even more. Stay focused on your niche and don’t try to overpower your audience. Stay relevant and keep moving them in the direction of your main sale – the niche in which you are involved. Many advertising networks give you very little control over what they show, which is another drawback here. If you really want to advertise something else, at least try to ensure that it is somehow related to what your main selling products are. To be honest, the things I have mentioned here are just the tip of a very large iceberg. The affiliate marketing business is brutal, but if done the right way can be a good source of income for a long time. As an affiliate marketer, it can become so easy to end up focusing on numbers and raw data that many end up forgetting the most crucial element of all – the individual visitor. I suppose in many ways, this is the customer service element of the business that is also often ignored in other industries as well. Always remember that the visitor is a customer. How well you please your customer will likely be the main objective that decides if you have a successful business. They affect your sales AND your reputation – remember that while you are planning on ways on how to get them to part with their hard-earned money! Finally – be dedicated. Only through perseverance will you make it rough the toughest years. Be prepared to work through problems, face long stretches with zero income and the ever-changing challenges that Google may throw your way. Jerry is a technology geek, SEO junkie, and a full-time dad. He's also the founder of WebHostingSecretRevealed.net (WHSR) and BuildThis.io. Blogger vs WordPress: Which One is Better for a Blog?